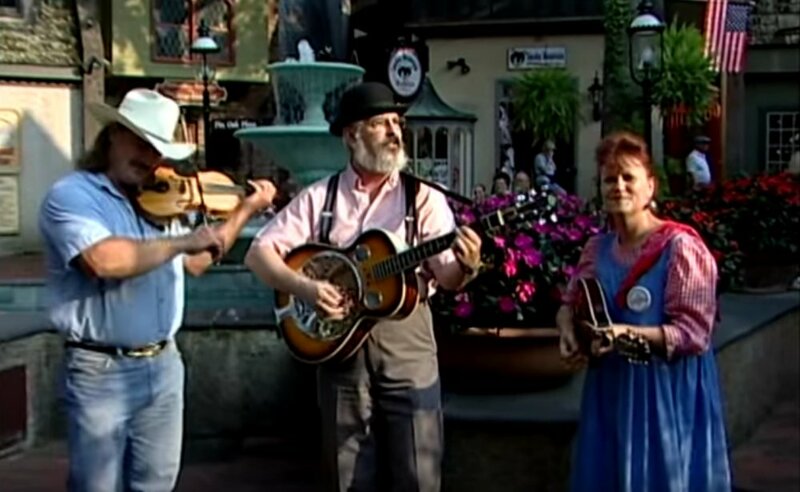 One of the most engaging attractions of summer in Gatlinburg is the annual street-performing Tunes & Tales event, which runs for almost two months and features musicians and performers at large on the streets of Gatlinburg, entertaining downtown Parkway strollers with bluegrass music for free every evening. Tunes & Tales usually starts in late June and runs to around mid-August. We often write about the event in our blog – see some of our other articles here and here. And you can find an update each year at the bottom of this article. Gatlinburg has always been a strolling town, as well as filled with musical talent and a rich, Appalachian heritage. Tunes and Tales takes all this to the street each evening during its summer season, to the great delight of visitors. This immensely popular event started in 2006, and has gained strength ever since. Bluegrass musicians, cloggers, artisans, character actors and storytellers are the features of Tunes and Tales, with period and traditional costume much in evidence. Zeno the Bear, Gatlinburg’s signature costumed character can often be discovered during these summer evenings. He’s always ready to try some street dancing and to give out furry hugs to kids for selfies. The season draws on the area’s formidable array of musical and performance talent, as well as attracting artists from across the country. While it may seem impromptu, auditions for each season usually begin half a year in advance, and the performing troupes plan out their surprises diligently. Sometimes the performers will descend on Parkway by horse-drawn wagon, and sometimes they’ll quietly steal in from out of nowhere. They like to surprise people, but you can find information on who’d appearing and sometimes even where and when on their Facebook page. 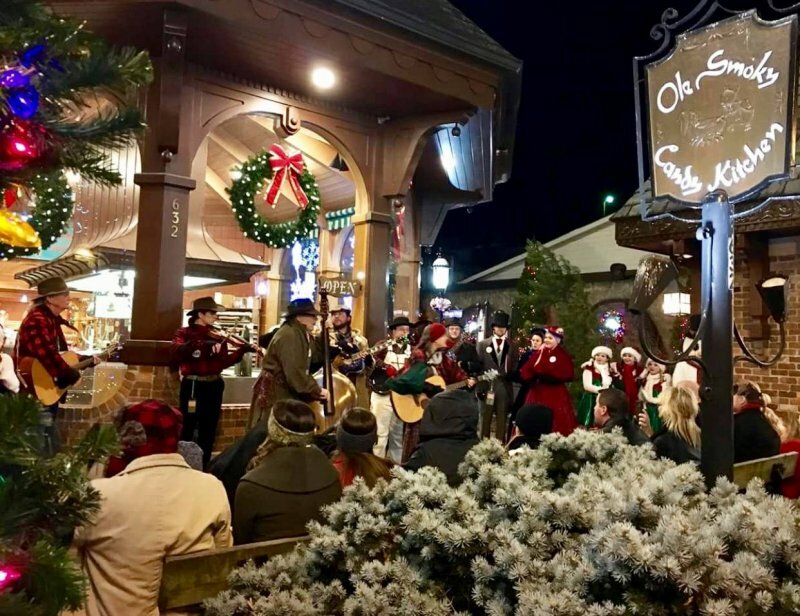 Tunes and Tales has a winter season also, on weekends between Thanksgiving and Christmas, when carolers enliven Parkway with live music, conversation and storytelling. Period costume abounds, and selfies flash amid all the colorful lights and decorations of Gatlinburg in the season. Summer or winter, there’s always something happening and countless Things To Do in Gatlinburg! The 2018 Summer Tunes and Tales season is June 22 – August 11. Every evening, 6-11 pm. Usually on Parkway in Gatlinburg, but you can never tell where they’ll appear!